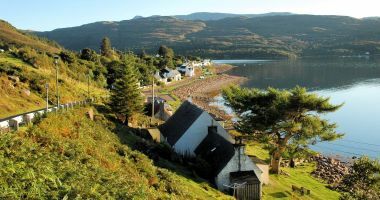 How to find Shieldaig near Torridon on the west coast of the Highlands of Scotland including a Google Map. Ceol na Mara stands close to the shore of Upper Loch Torridon. 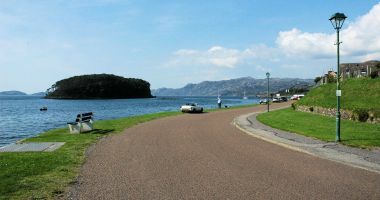 A view of Shieldaig Island as seen from the southern end of the village main street. A general view of the main street of the village. Another view of Shieldaig. 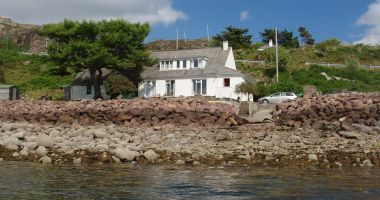 Ceol na Mara is the house in the foreground. A free Wi-Fi Internet connection is provided in Ceol na Mara. For discounted outdoor activities during your stay, contact Shieldaig Adventures. A free Wi-Fi connection is provided in Ceol na Mara for the use of holiday guests. 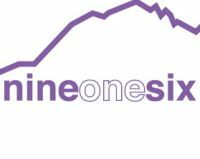 Please contact us for availability and bookings, preferably using our on-line contact form. 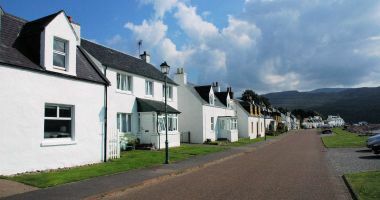 Shieldaig is situated some 68 miles to the west of Inverness and just over 200 miles north of Glasgow. The marker on the map below shows the approximate location of Ceol na Mara Cottage. See below for travel information. Also, please see our "Useful Links" section for more travel information, including rail and air travel, car hire, tours' services, etc. 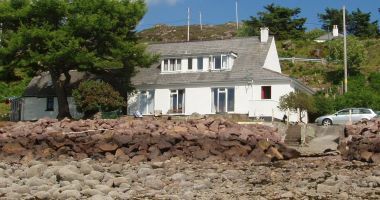 Ceol na Mara is a 4-bedroomed detached self catering holiday cottage, situated in Shieldaig, Wester Ross. Shieldaig is on the west coast of Scotland, in the north west Highlands, and is approximately 68 miles due west of Inverness. You can find more information about our location, with a Google Map, in our "How To Find Us" section.